MobiliCity conducted citizen-led experiments and gathered data on London’s transport network in order to highlight the challenges faced by mobility-impaired users and recommend accessibility improvements. MobiliCity developed an app to track volunteer users as they travelled across the transport network. This data was used to infer ‘mobility black spots’ around London, which posed physical constraints and accessibility problems for users. The team plan to make their findings available to local authorities, including TfL, Network Rail and London Boroughs to aid design improvements. Comparison of a TfL routes suggested routes to a volunteer routes. Mobility-impaired users can experience several negative “pain points” when using the transport system. Some of these (such as lifts not working at key stations) may result in significant detours to their journeys, as above. MobiliCity app mock-up. 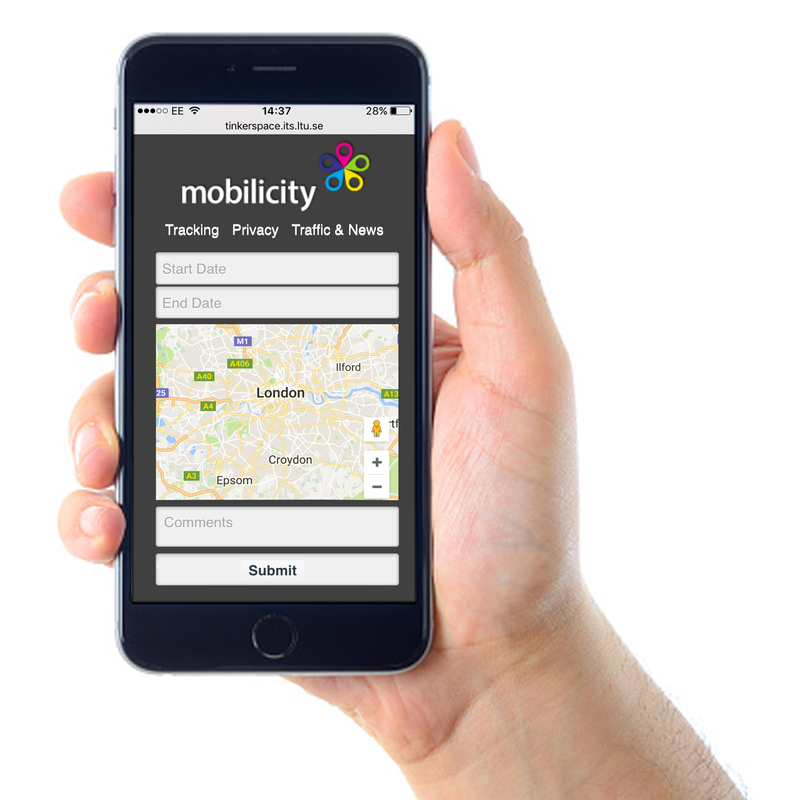 The team built a web app that allowed users to upload their Smartphone Experimentation App (SEA) data or Google Maps’ tracking data to a web server at https://mobilicity.london. 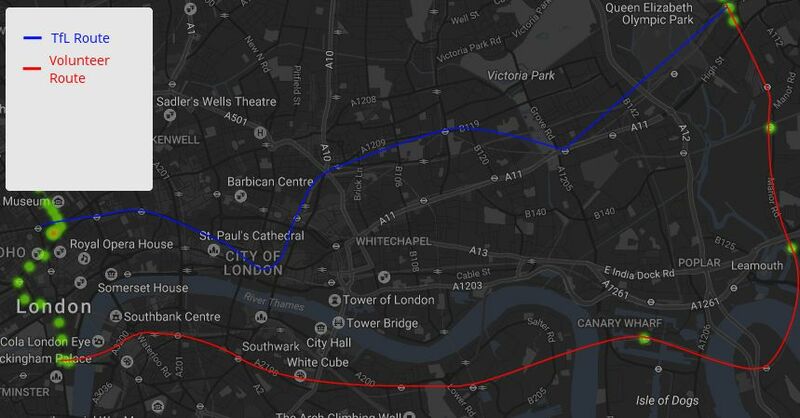 An automated algorithm, using machine learning, then analysed this data and displayed the users’ routes alongside their optimal journey, using the Transport for London (TfL) Journey Planner API, on the website. MobiliCity found examples where mobility-impaired users faced significantly increased journey times, having to take large detours on their routes or take buses due to the lack of accessibility at certain underground stations. Buses are far less frequent than the trains and the limited space means that sometimes mobility-impaired users have to compete for priority, leaving some users unable to board the buses. The MobiliCity team has demonstrated that it is possible to use crowd-sourced tracking data to identify accessibility challenges in London. This approach could easily be scaled and applied to other large cities.